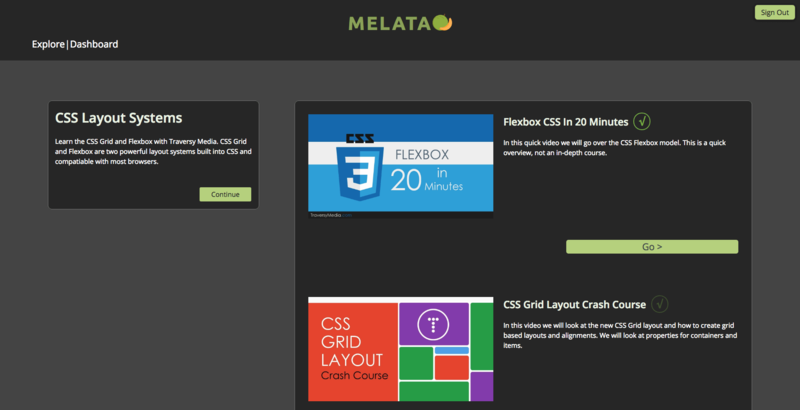 Melata is a one stop shop for the coding newbie. It features curated instructional videos along with an integrated code editor. Users can pick through an assortment of languages and frameworks to learn the latest 'best-practices' in the industry. Click here to view the project repo. A recreation of the hit TV Pokémon mini-game, "Who's That Pokémon? 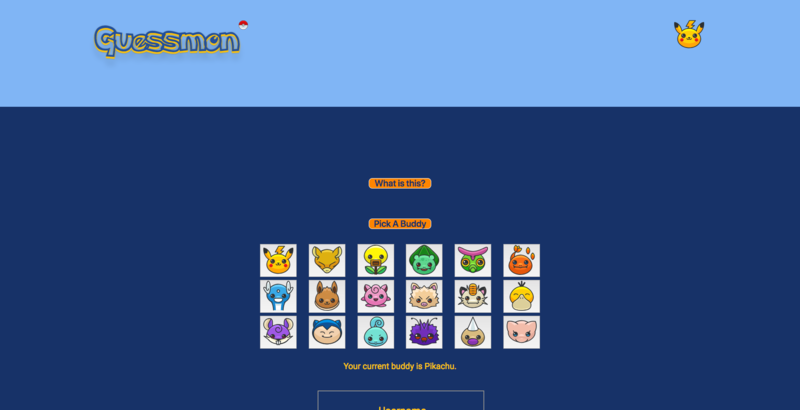 ", Guessmon brings that joy and nostalgia to the internet! As you practice, the spaced-repetition learning algorithm will allow you to focus on those pokemon you have more trouble with- maximizing your efficiency! 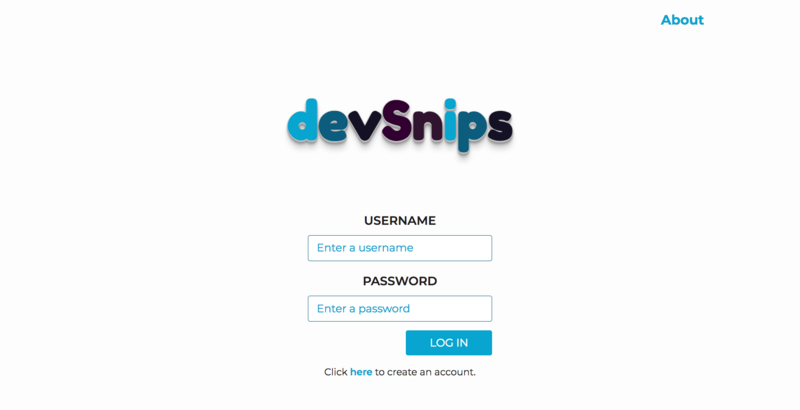 devSnips is a web-based app for developers. It's a twist on note-taking that allows users to input markdown and see plain HTML as the result. Allowing for a quick and easy way to create on-the-fly notes that can contain text, images, and properly formatted code. Click here to view this project's GitHub repo. 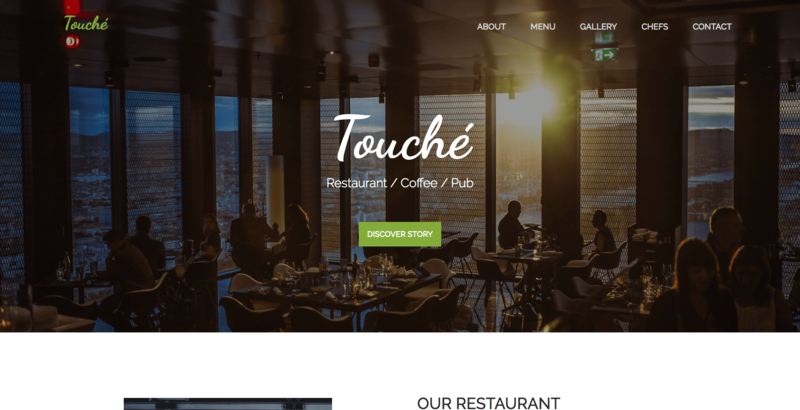 Touché is a mock website I recreated from the ground up with the intent to demo to prospective employers. It's a restaurant themed website and places an emphasis on well defined lines and vibrant images. 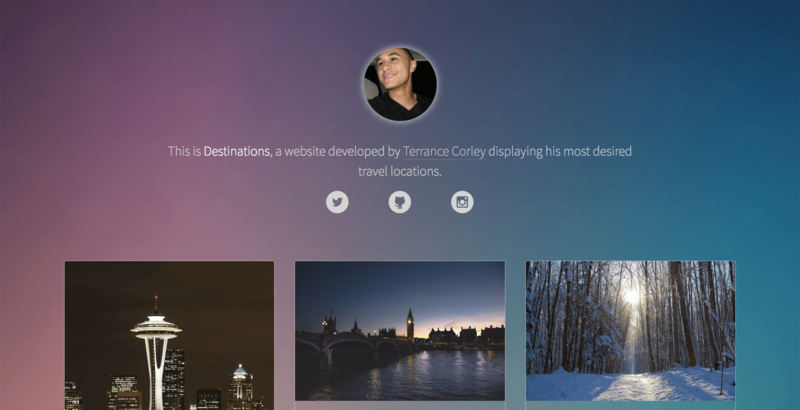 Destinations is a personal travel wishlist I recreated that relies on a beautiful mixture of color gradients and a fun three column layout for the gallery grid. 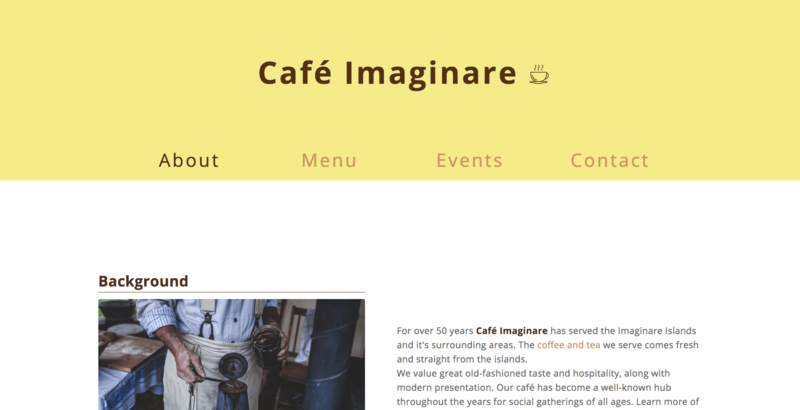 Café Imaginare is a project I designed and created that targets small business owners. It provides a warm, intimate, and professional presentation. 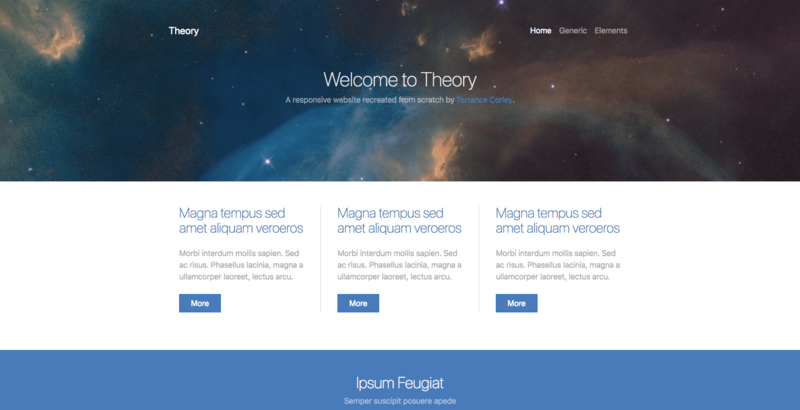 Theory is a recreated website I built using Bootstrap. It's captivating banner, modern typography and design present a gentle presentation that is easy on the eyes yet encapsulating for the user.